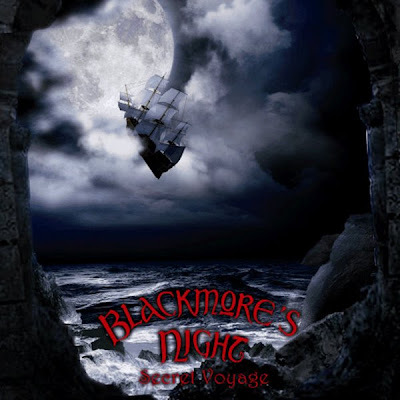 When I was asked to give my opinion about the latest CD of Blackmore's Night, I had no doubts that it should be very good. I know the band well, and I expected a great work. But when I received the promotional copy, I was shocked. "Secret Voyage" is more than good, it's simply excellent. 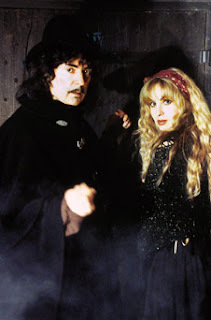 Blackmore's Night band was born in the 90s, and is the union of the charismatic Ritchie Blackmore (guitarist of Deep Purple and Rainbow) and Candice Night, a singer with a captivating voice and a strong passion: the Renaissance. Candice and Ritchie met in the recording of "Strangers In Us All". In that time, Blackmore was guitarist of Rainbow, and Candice did the chorus of that album. In 1997, they published "Shadow Of The Moon", and achieved a big success in Europe. Blackmore's Night offers a very original proposal. Their music is a mix of folk, rock, and post-medieval sounds, adding authentic musical instruments from the Renaissance. Blackmore's Night always gives high quality music. We should not forget the brilliant career of Blackmore, and that he's a lover of classical music. His way of playing the guitar reaches virtuosity. To this, we can add the sweet and melodious voice of Candice. This makes of Blackmore's Night a band that goes beyond trends, seeking something really great. After a series of unforgettable albums, comes "Secret Voyage". "God Save The Keg" is an instrumental piece, of great intensity, a Renaissance air, and triumph feeling. "Locked Within The Crystal Ball" is one of my favorites. It's a song full of vitality. It joins the Renaissance sound with Rock. Blackmore's powerful guitar resounds all along the song. It's a very dynamical and passionate theme. "Gilded Cage" is a very melodious song. A ballad with many shades, and a very dreamy air. "Toast To Tomorrow" is very cheerful song, with big influence from the traditional musics of Central Europe, Gypsy inspiration. "Prince Waldeck's Galliard" is an instrumental theme. A jewel for those of us who love string instruments. "Rainbow Eyes" is a precious song. One more time, the brilliant riffs of Ritchie Blackmore make it unique. 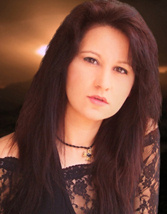 "The Circle" is a song that joins Celtic, Oriental, and Rock sounds. Joins risky elements and the result is excellent. "Sister Gypsy" is a piece that reminds the stories sung by legendary troubadours. "Can't Help Falling In Love" is a version of Elvis' song. Elvis sang it for first time in the movie "Blue Hawaii". This version is truly brilliant. 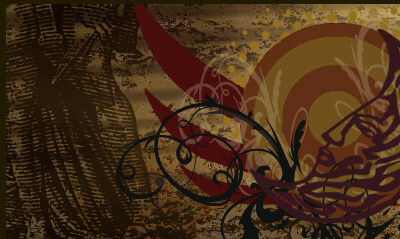 "Peasant's Promise" is a very ethereal theme, and at the same time, very cheerful, deeply Celtic. "Far Far Away" is very dreamy. Candice's voice sounds sweet and charming. "Empty Words", strong Renaissance influence and the always awesome strings of the great Blackmore stand out. You can also listen to some of the songs of "Secret Voyage" here. Many of the concerts of Blackmore's Night take place in castles, surrounded by a Renaissance halo. A true pleasure for your ears. So have a look to the tour info. Outstanding review Emma - I am looking forward to hearing this CD, for sure. Richie Blackmore is one of the greatest rock guitarists of all times. This CD is the best that I heard since long time ago.